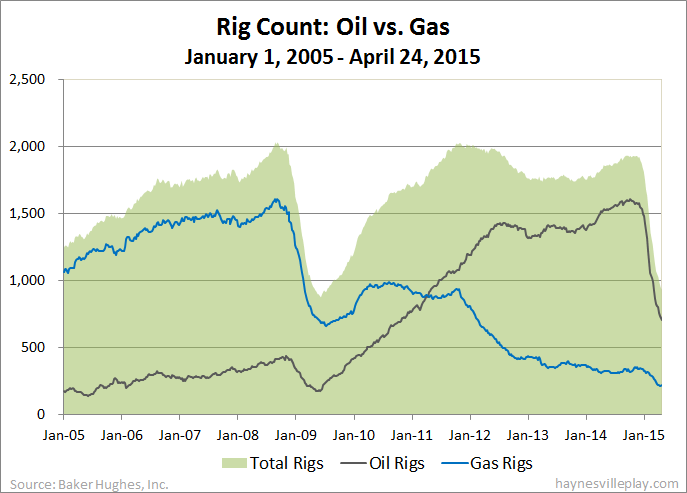 The Baker Hughes U.S. rig count dropped 22 rigs this week to 932. Oil rigs were down 31 to 703, gas rigs were up eight to 225 and miscellaneous rigs were up one to four. By type, horizontal rigs were down 21 to 720, vertical rigs were down one to 121 and directional rigs were unchanged at 91. Among gas rigs, horizontal rigs were up four to 179, directional rigs were up two to 35 and vertical rigs were up two to 11.